Netflix’s street-level branch of the Marvel Cinematic Universe is continuing to fill out its cast of nearly human superheroes and villains. Earlier today we reported that Sons Of Anarchy’s Theo Rossi had signed on to the upcoming Luke Cage series as villain Shades (and the even more exciting news that Rosario Dawson’s Claire Temple is apparently the crossover-supporting linchpin of this little streaming-only crime fighting cul-de-sac.) 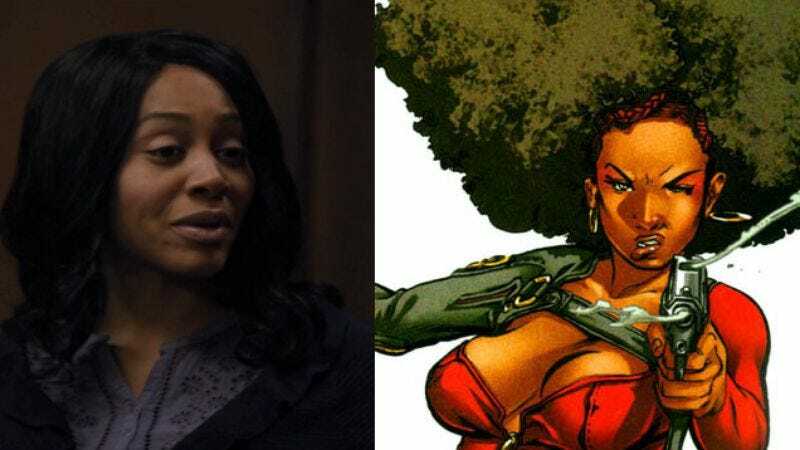 Now, Deadline is reporting that the show has also cast its Misty Knight, with relative newcomer Simone Missick taking on the role of the afro-sporting, tough-as-nails former cop. Missick has appeared in a few short films and TV movies, as well as a small role on an episode of Showtime’s Ray Donovan. She’ll be joining a cast that includes Rossi, Alfre Woodard, and Mike Colter, who’ll star as Cage, a superpowered fugitive turned hero-for-hire.